« Is Mildew Starting Trouble in your Landscape? Planning your next landscaping project? When it comes to setting up your new yard with an awesome new landscaping feature, you have to think about a lot of things. There is a lot of necessary planning that goes into the proper execution of a new landscaping feature and we’re here to give you the rundown on it today. Ready to learn more about landscaping planning? Let’s do it! When it comes to crafting a proper landscaping plan, you need to think about the things that you need. Do you need to stay within a budget? Do you need to meet your homeowner’s association guidelines? Do you need to avoid certain features or plants for personal reasons? These are all things you need to think about as you plan. Your needs should be the focus of your first planning stage. Your needs are the non-negotiable elements in your plan, so make sure that they are clearly laid out for your landscaping professionals. Continue with what you want. Once you have hammed out the things that you need, you can move on to the things you want. These are the elements of your landscaping that you would like, but can live without. Be prepared to change any of your wants because of time, budget, and practicality, but don’t be afraid to dream big. This is your chance to really realize the potential of your landscape, so don’t’ be afraid to really go for it. Just don’t get overly attached to anything on this list. 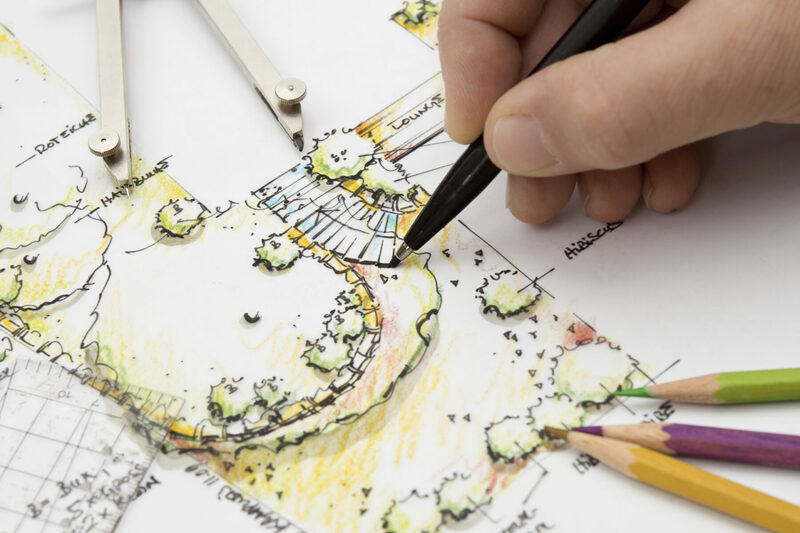 When you start planning your landscaping project you need to think about how much money you have, how much you are willing to spend, and whether or not you need to wait. Waiting will probably set you up with a higher budget, but you need to be careful. Waiting too long may let the warm months pass you buy. Ready to put your planning into action? This entry was posted on Friday, May 29th, 2015	at 6:41 pm	and is filed under Landscaping Design	. You can follow any responses to this entry through the RSS 2.0	feed. Both comments and pings are currently closed.